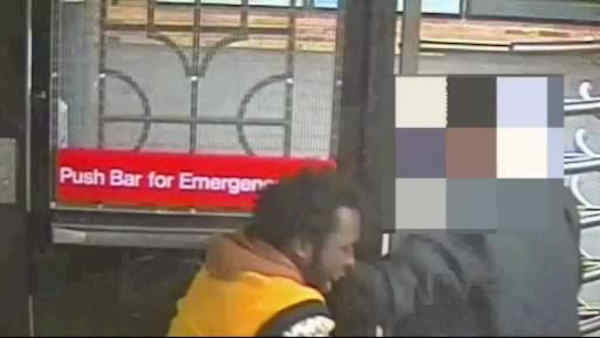 NOHO, Manhattan (WABC) -- Police say the homeless man suspected in a slashing at a Lower Manhattan subway station last Friday has been arrested. Marvin Taylor, 24, was taken into custody in Greenwich Village Sunday. Taylor, who has at least 10 prior arrests, is charged with robbery, assault and criminal possession of a weapon. The victim, a 55-year-old Israeli man, was reportedly sleeping on a subway bench when he was attacked at 3:13 a.m. Apparently he became lost in the subway system, sat down and fell asleep. Police say he awoke to the suspect attempting to rob him, and he was slashed multiple times in the neck, face and hands during the attack. The victim walked out of the station and was met on the street by several tourists, who helped him find police. Police brought interpreters to the hospital, where the victim was interviewed in Yiddish. He was wearing Hasidic clothing at the time of the attack. CeFaan Kim reports from NoHo in Manhattan. A blood trial led them to a knife handle on the north end of the southbound 6 platform.